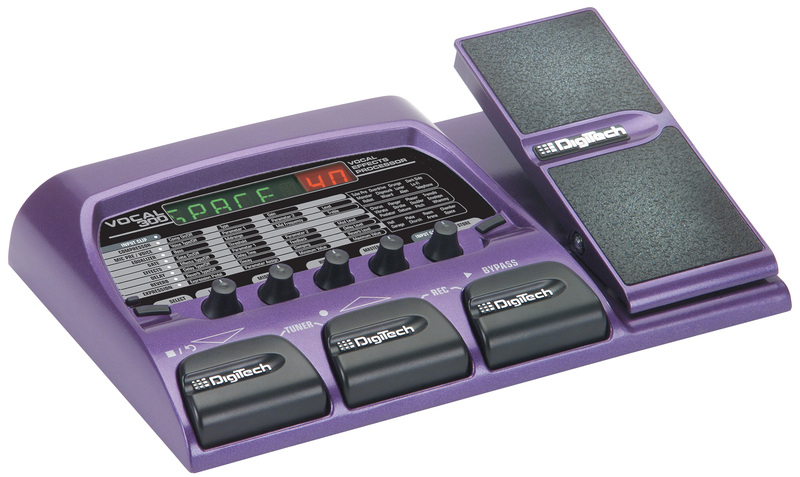 DigiTech®'s Vocal 300 is an affordable Vocal Effects Processor with a built-in expression pedal. Equipped with multiple mic preamp types, the Vocal 300 is ideal for both warm classic vocals or cutting edge distortion and lo-fi styles. The exclusive voice "characters" transform your voice from the scariest of monsters to spacey alien beings. The Vocal 300 comes with 38 fully programmable studio quality effects (up to 7 effects at once). The built-in expression pedal can be assigned to control your choice of up to 3 parameters in real-time. 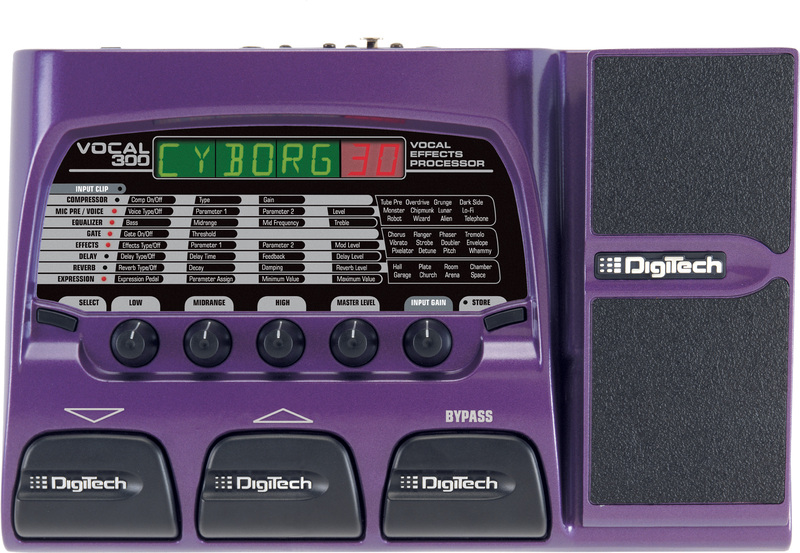 Each effect includes up to 4 adjustable parameters, giving you total flexibility to create the sound you want. The 6 character alphanumeric and 2 character numeric displays, combined with the 4-knob matrix editing system, provide a simple straightforward user interface. The Vocal 300 also includes 40 great sounding Factory Presets and 40 User Presets for your own custom creations. The rear panel features a 1/8" CD input for singing along with your favorite music, a 1/4" unbalanced input, a balanced XLR input, a balanced XLR mono output, a 1/4" TRS stereo line output and a 1/8" headphone output. How do I save a program to a new location on the Vocal 300? There is a misprint on page 5 of the Vocal 300 owner’s manual. To store and relocate a program, dial up the desired program, modify as desired, press STORE once to rename the program, press store again and the program # blinks. Now use the UP/DOWN footswitches to get to the desired program #, and then press STORE again. The program will now be stored in the User section at the new location.